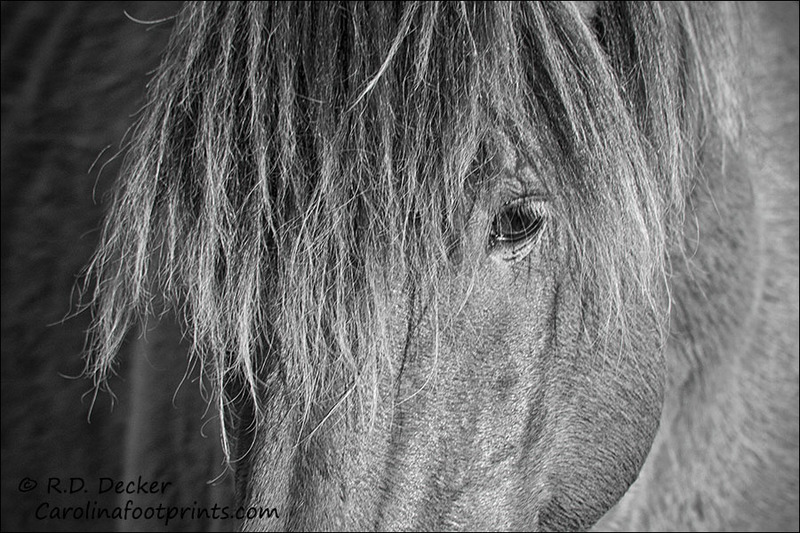 Lately I’ve really been enjoying doing intimate crops of the wild horses. I especially find myself trying to make the eye the primary focus of the photo. Of course, in this case,” close-up” may be a good term for the image but it certainly isn’t accurate about how the photo was made. By using a “super-telephoto” lens it’s possible to make intimate portraits of these beautiful animals without getting too close to the horse. I’ve also found my love for black & white imagery reinvigorated recently. Years before the digital photography age I had a love affair with black & white film. Grain, the noise of the film days, was considered a nice artistic addition to a good mono-tone photo. One of the nice things about digital photography is that every image can be both a black & white photo and a color shot. It’s all done in post processing. If you look at a number of different photographer’s work in black & white of similar subjects you’ll notice there will be differences. Some subtle. Some extreme. It’s simply a matter of the photographers expressing their artistic tastes. 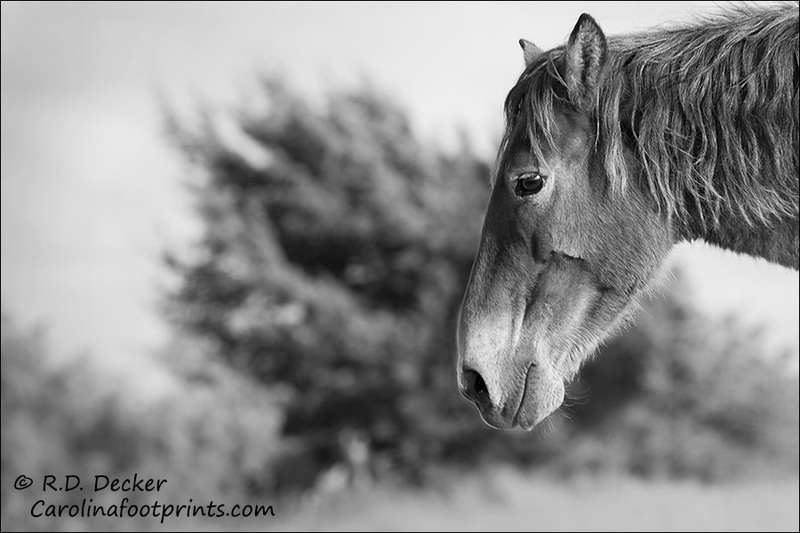 Here are my most recent takes on black & white equine fine art photography. 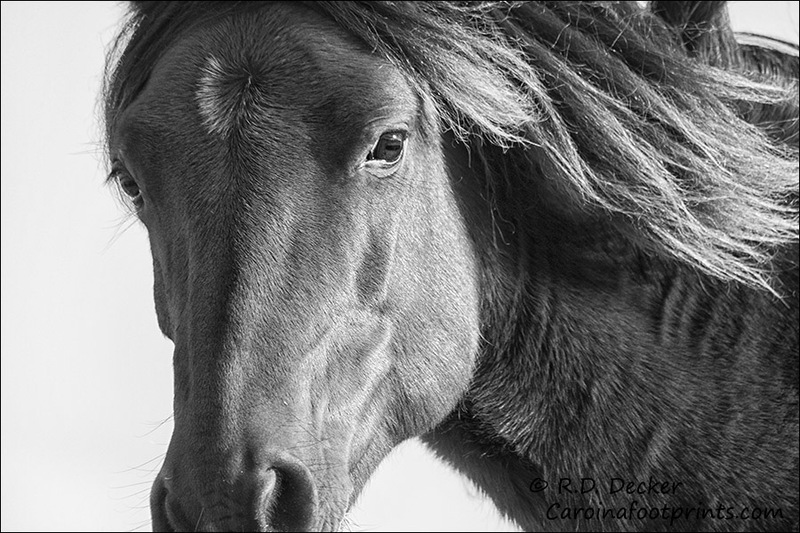 This entry was posted in Banker Horses, General Photography, Nature Photography, Wild Horses, Wildlife Photography and tagged Beaufort, Crystal Coast, Estuary, Horse, Nature, NC, North Carolina, Outer Banks, Photography, Rachel Carson Estuarine Reserve, wild horses, Wild Mustangs. I think you are on to something. 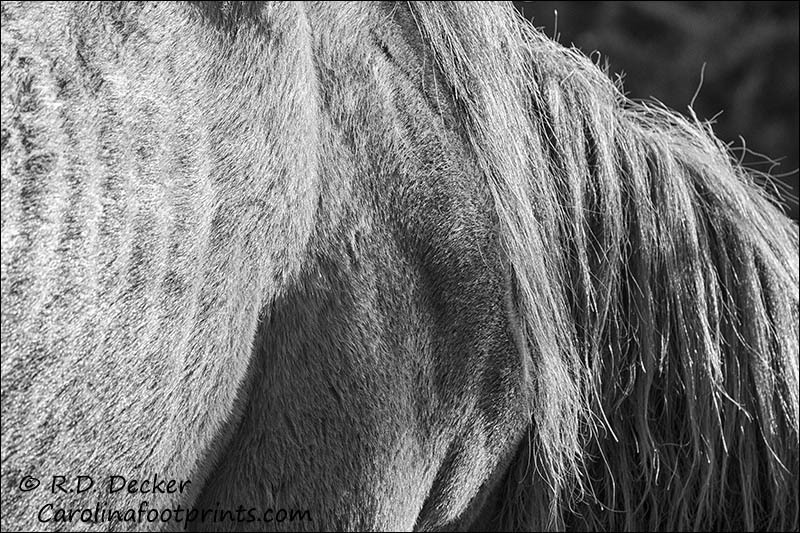 Not all mustangs are flashy, using B&W evens the playing field and pulls attention to the patterns and textures. Keep working on it, some show great promise. Cropping is very difficult, a true talent that you seem to possess.